Doon International School is one of the most reputed co-educational, day/residential schools, located in the picturesque Dehradun Valley of Uttarakhand. The school is in fact and fortitude an international school, serving the necessities of students from several parts of India as well as World. The Doon International School was established in 1993 with aims to impart world class quality education among the students and to prepare them according to principles existing in various countries including India. 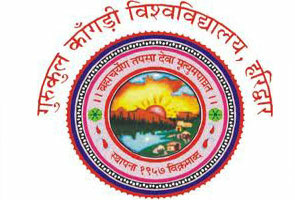 The school is operated by an authorized registered, educational, non- denominational, not for income society containing of devoted educationists and social employees of high standing and reputation. Doon International School has received great reputation over the past years and been consistently provide quality education from the time of its inception. Due to its top class education quality features Doon International School has become the most prestigious and celebrated school of the country. 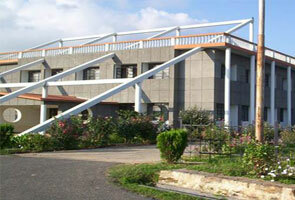 Doon international school (shortly known as DIS) is situated in capital city of Dehradun. The school campus is engraved in the prime location of Dehradun’s garden township, Dalanwala. The town is approx 250 kilometers away from New Delhi and is easily reachable by road, air, and railway from all city centers of India. The Doon International School has gotten recognition from CBSE board- Central Board of Secondary Education, New Delhi. Doon International School provides education from nursery standard to 12th class and follows the study program organized by Central Board of Secondary Education, New Delhi. The academics is international in its range and ambit and contains basic subjects like Maths, English, History, Hindi, Science, Geography, physical education, arts and craft, yoga and many other languages. Senior secondary students in the school are offered a wide range of subjects to pick from, providing the students great possible opportunity to expertise in their selected area of interest. Educational superiority always remains a major area of focus for Doon International School. The school offers all its students equal opportunities to learn and understand their full educational potential. The Doon International School provides excellent residential boarding amenities for boys as well as girls in the school. All the hostels are well-furnished with all the required equipments and have trained faculty members, together with a housemaster and a housemistress, with support staff. The junior class level, students are live in dormitory style housing. As the students transfer to senior classes, they are offered shared rooms. For girls students separate hostels are provide by the school. The process of admission in the school is unbiased and organized over the basis of entrance exam. The registration or admission form for the school is presented on the official website or can also be accessible from the school admissions department. This registration form must be duly filled and sent to the school beside with all the necessary documents prescribed on the form to allow the school to process the application. The Doon International School directed an entrance exam for candidates looking for admission. These entrance tests are held well before the beginning of the new educational sessions and dates are interacted to the parents of children in advance. The admissions will be held on the basis of merit results of these exams and will also matters on the number of openings in each class. 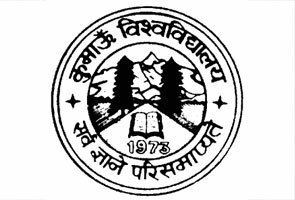 Registration form for admission must reach the School office latest by 1, March in the year of admission. It is advantageous that all necessary admission formalities are done well before the end of March month. But limited openings may be present in the middle of the educational year. You can also access the more information on mid- year vacancies by e-mailing the schools Admissions managing department.